This is a project I had been meaning to do for a while. 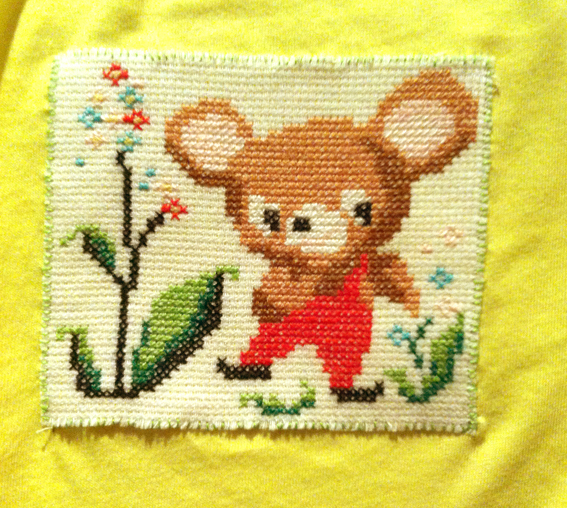 I found these cute cross-stitched bibs in a charity shop last year – clearly made for a little one and never used. I really loved the cute retro mouse, but the little birdys were lovely too. I thought they would make a nice embellishment for a holiday t shirt so I carefully cut out the designs (as they had been stitched onto cotton aida fabric it made it super easy to cut out). 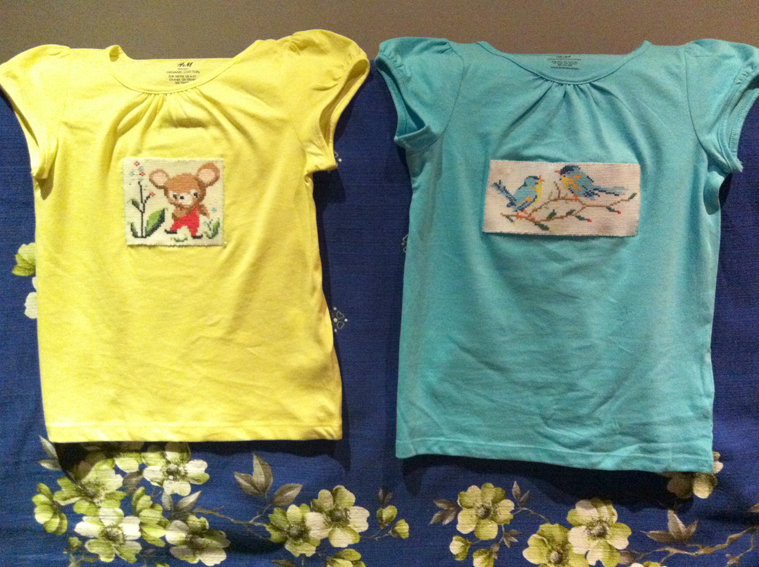 I used bondaweb to iron on/stick each in place onto plain colour t shirts bought from H&M then sewed round them with a complimentary colour cotton thread. My girls love them and they got a few compliments while we are on holiday over the half term as did the t-shirts!